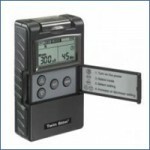 This is a combination stimulation unit of TENS and EMS which can be used for both muscle stimulation and for pain relief. TENS (Transcutaneous Electrical Nerve Stimulation) uses tiny electrical pulses sent through the skin to the nerves to change your pain perception. It is intended to be used to relieve pain and in many cases the stimulation will greatly reduced, if not eliminate, the painful sensation you feel. EMS (Electrical Muscle Stimulation) works by sending electrical pulses to the intended muscle, causing the muscle to exercise passively. This works great for treatment of muscular injuries, re-educate paralyzed muscles, and improve muscle tone and circulation.